Both little C&Gs were absolutely obsessed with the Pirates of the Caribbean movie series in the summer of 2011. 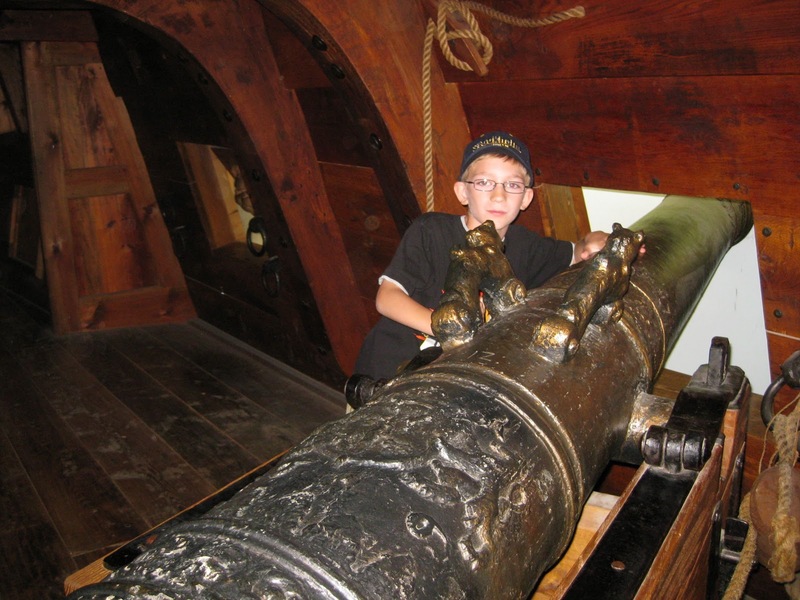 Imagine their excitement when we told them Stockholm was home to the world's oldest wooden warship, almost fully intact and the star of it's very own museum. They bounced around like pirate Jack Sparrow on horseback and we put Scandinavia's most visited museum at the top of our agenda. Commissioned by King Gustavus Adolphus of Sweden, the Vasa set sail on it's maiden voyage in Stockholm's harbor in 1628. It stayed afloat for a whole twenty minutes before a strong breeze caught the sails and caused the top-heavy warship to topple over into the sea. The great hope of Sweden's naval fleet in the brutal battles with Poland and Denmark was a horrible embarrassment and a great waste of money. The King made the classic mistake of thinking bigger was better, so he repeatedly commanded his shipbuilders to make everything bigger and to add more cannons. The builders knew it wasn't sea worthy, but in the 1600's you certainly didn't argue with a power hungry king. All those cannon balls didn't help with the ship's instability and it's no wonder the four story warship ended up in the bottom of the harbor. Raised from it's watery grave in 1961, the ship was in excellent condition after 333 years in the ocean. Almost all of the wood remained intact, thanks to the briny and polluted waters of the harbor. 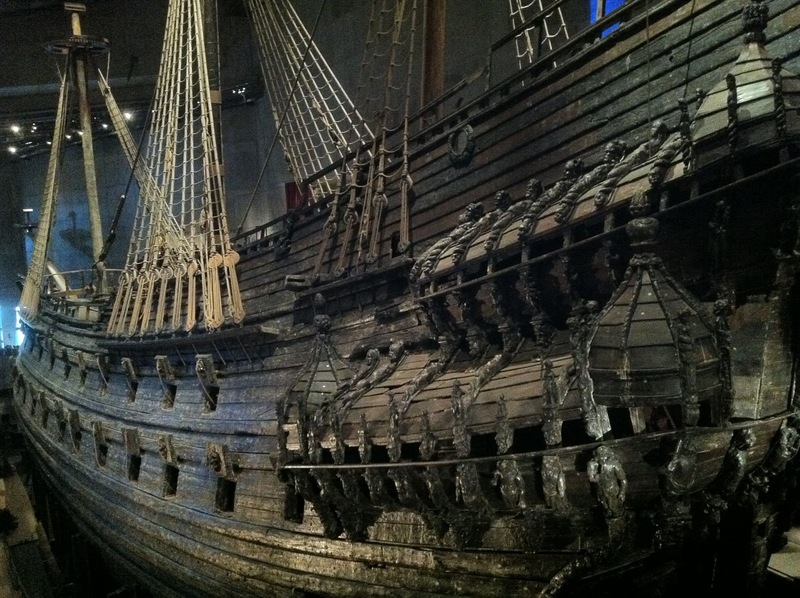 Conservators have done an outstanding job preserving the Vasa, and the museum opened to the public in 1990. The Vasa Museum is incredibly kid friendly, as you would expect in a museum whose star attraction is made for Hollywood. 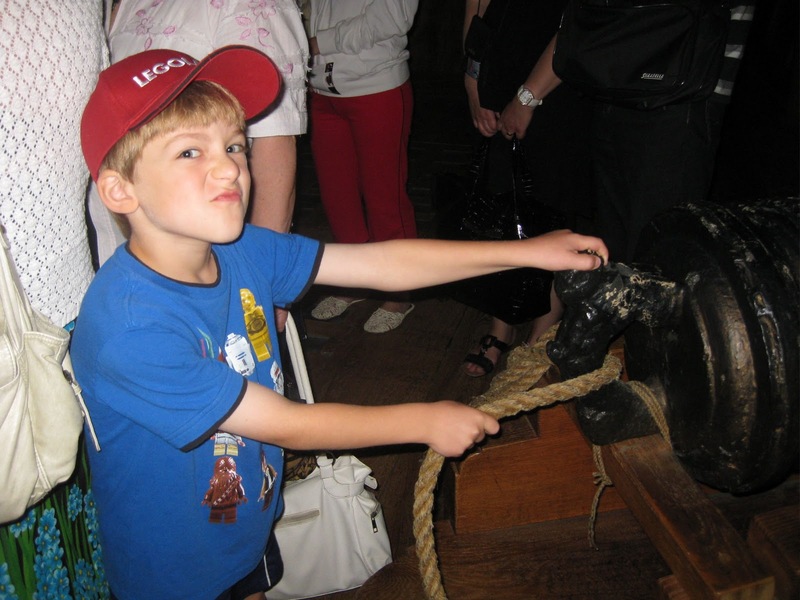 A scavenger hunt worksheet is available at the information desk, a short documentary tells the story of raising the ship up out of the sea, and tour guides will walk you through the three floors of the exhibit while sharing the Vasa's history. Both boys were mesmerized by the tales of the doomed ship, and they loved the model that showed was life was like below decks. 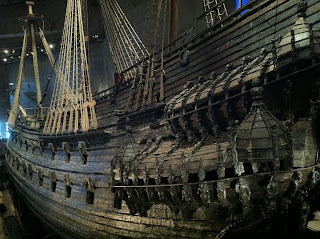 We spent almost our entire day at the Vasa Museum, so I was very glad that I'd read about their excellent restaurant. We grabbed a quick bite of Swedish meatballs, pasta, and pumpernickel bread and sat outside on the patio, then headed back in for a better look around the ship. The museum is open daily, from 8:30 to 6:00 in the summer months. Admission is free for kids under 16 and 130SEK (roughly $20) for adults.